How many of you know someone who’s been playing tennis for decades and they never improve? You may know quite a few people. And you may be one of them. As a coach and player who spends almost every day around the club scene, I witness many, many players who never improve their tennis game. I’ve coached a few of them. And while they want to improve, our lessons didn’t amount to much. They just couldn’t break the bad habits they accumulated over many years. Players lack sound technique and don’t have any coaching to change it. Players don’t practice or do it too infrequently to make a difference. Players don’t have the physical talent or coordination to improve their game. I should preface this article by saying it applies more to older players than kids or young adults. While younger people can be stagnant in their progress too, they’re still relatively new to the sport, so I’ll exclude them as examples. My motivation to write this article is to crystalize my thoughts on why club players remain at the same level all their playing life. Perhaps my insight will help you improve your own game if you’re level has seemed to peak and I do offer tips on how to do that here. I often play at local parks and tennis clubs. Most of the time, I see the same group of guys and gals playing at the same level year-after-year. It’s almost like time freezes and they’re the same player now, and 10 years later. While there are a few who do improve, the majority never do, despite playing several times per week. I think I have some answers why their levels remain stagnant. Let’s get into it now. 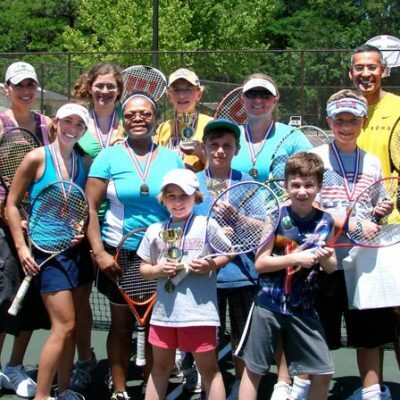 Most club players love to play tennis, but they shy away from practice or lessons. While these players certainly want to improve, they’re not willing to put in the work and effort (and money) to do it. To raise your level in tennis on your own accord is very challenging without good coaching. In my opinion, not addressing poor technique is the number one reason why players don’t improve. Many of the club players I see have homemade strokes and poor footwork. In order to improve, it would take a major overhaul to their game. While it’s completely possible to do, the vast majority are not willing to start. Why? Because it would take a lot of time, coaching, and practice. 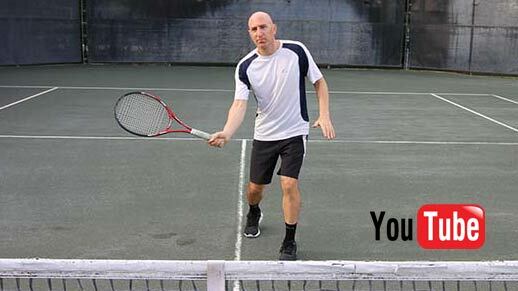 Most older players with homemade strokes fall into a comfortable place with their tennis game. I see them making all kinds of excessive movements on their groundstrokes and serves that are completely unnecessary. These include weird motions, hitches, and very short, choppy strokes. To make any changes at all to their game causes them to feel extremely uncomfortable. I’ve experienced this first-hand when coaching these players. Often, when I introduce them to proper stroke mechanics, they’re so resistant it’s almost unbelievable. Some flat out refuse to change. Others might try to make the changes I suggest, but as soon as they rally or play, they go right back to their old, technically incorrect strokes. Typically, the older the player, the less chance for change. This is especially true for the guys that lack athleticism and coordination too. Some degree of it is required to learn and implement correct technique. Tennis is a complicated sport to learn. It involves moving your body in ways that go against your natural instincts, making it uncomfortable to learn. I think a lot of people take it for granted how much technique is involved in the game. It’s glaringly obvious when seeing a bad club player and a strong club player (5.0 or better). While some people may believe that good tennis players are born, for the most part it’s not true. If the right technique is learned early on, it makes a huge difference. But most of the guys who can’t improve, won’t and don’t for the reasons I mentioned. And that’s fine if they only want to play for fun and exercise. However, if you’re a club player who’s been stuck at the same level for years, and want to improve, this is what I suggest. First, you need to check your ego at the door for a few months. When you make major changes in your game, your ability to win matches will decline for a while. However, this is not a bad thing. It’s to be expected when you make changes. Think of it as a learning period and don’t worry about losing. Second, either find a good coach or purchase a good online course. A coach would be much preferred, but individual coaching is expensive, and it could take many lessons to see improvement. Your next best options are the online courses. They can take you by the hand and walk you through each stroke step-by-step. I like courses because they’re designed to help you improve quickly and they cost a fraction of long-term coaching. For those of you who have no budget for lessons or courses, there are a ton of free videos on youtube. I have free videos on my youtube channel you can watch as well. The drawback of this is that youtube channels don’t really offer free courses. Almost all the videos are just tips, tricks, and suggestions on better strokes. 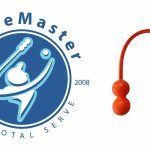 I do have a free three-part series on the modern forehand on my youtube channel if you want to check it out. Once you decide on one of these three options (a coach, a course, free videos), the next best thing to do is video yourself using the old technique and the new technique. Remember, practice is meaningless if your technique is not sound. Otherwise, you’ll just be ingraining bad technique. So make sure you are playing correctly by analyzing your video. If you’re having difficulty doing that, a good way to determine if your technique is good, is to send your video to a coach. If you want to send it to me, and if I have the time, I’ll offer you some suggestions. Email me! Another thing you can do is compare your strokes to a professional player. It’s best to do it in super slow motion. Set up a side-by-side screen shot with the same angle. You can find a lot of your favorite pros hitting in HD in super slow motion on youtube. Once you get the technique right, you need to ingrain it through shadow strokes – hundreds of them. When you feel confident and the technique is feeling more confident, you can start hitting. 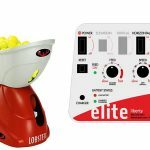 Next, take to the court and work on a ball machine or with a practice partner. Finally, start using the new technique in fun matches, where there are no stakes. Ultimately, and after months of hard work, you can use it in competitive matches. Keep in mind that footwork is a huge part of technique; it’s not just about stroke mechanics. I could write ten blog posts about footwork. 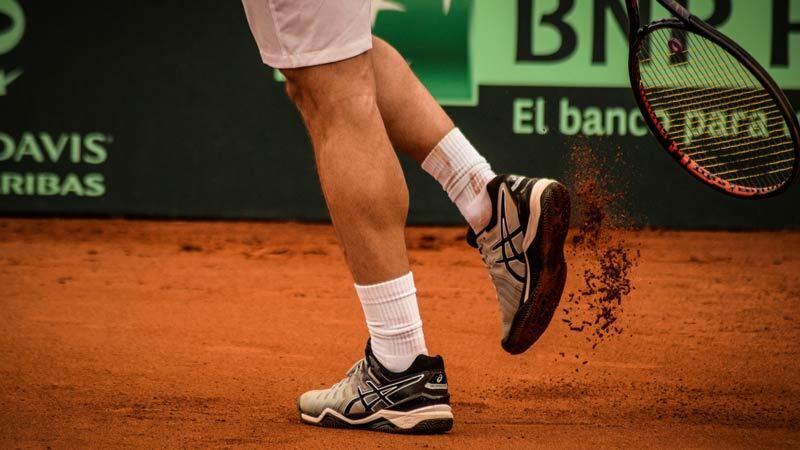 The next time you watch a professional tennis match on TV, instead of watching the ball, look at the feet of the players. You’ll see them moving all the time, constantly adjusting and pivoting on their shots. In order to see a truly tangible improvement in your tennis game, your footwork will need to be better too. Some of the footwork requires technical know how. Other parts can improve by physical training in the way of agility drills and sprints. I have a couple of videos on footwork. The two most important things in footwork is to set up early for the ball and pivot on your shots. Watch Novak Djokovic, Roger Federer, and Alexander Zverev. All have some of the best footwork on the tour. I didn’t mention much about serves and volleys. But they’re very important too. 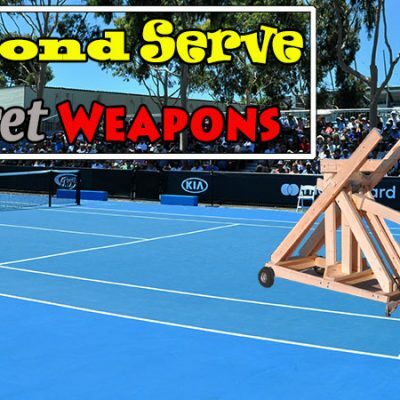 If you want a great serve course, I recommend this one [link]. Volleys can be very challenging too for club players. The key on the volley is do less, not more. A simple block of the ball works fine most of the time. I wrote a popular blog post on the seven different volley types and I have very helpful videos you can watch. Hopefully, this information is helping and giving you some ideas. 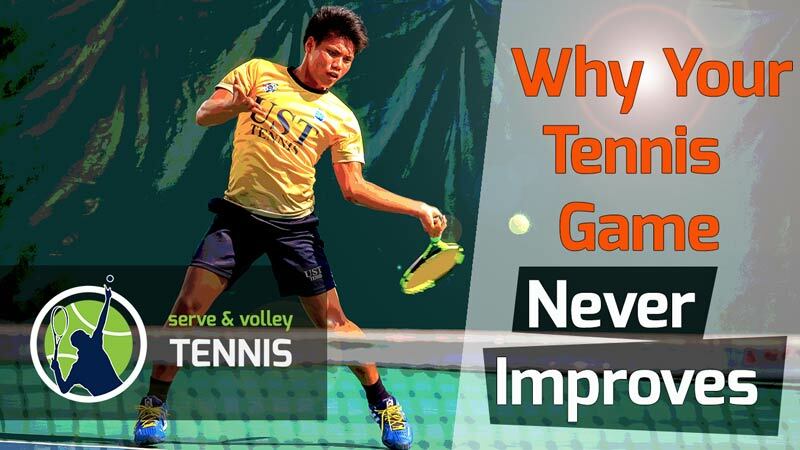 Now let’s discover the second major reason why club players never improve their tennis game. Many of the players at my club like to play tennis. But they never practice. This will certainly result in stagnant play. I believe everyone needs alone time on the court to “figure things out”. This usually comes in practice sessions where there is no pressure and plenty of time to work on different things. As I mentioned before, most club players aren’t willing to put in the time and effort to practice. However, for older players, this is somewhat understandable for a few reasons. One reason is that players simply don’t have the time to practice. A player might have a couple of hours after work for leisure at most. That person would rather play a singles or doubles match than have a two-hour practice session. After all, practice sessions are typically grueling and not very fun. It’s also difficult to find another player your level to practice with. Not only that, but you’re not even sure how to practice tennis. The final reason for not practicing is technique. If a player has poor technique, they’re just reinforcing that bad technique in practice. I think most bad players intuitively know that. Even if a bad player practices often, very little progress can be made because the issue of poor technique never gets addressed. This, unfortunately, was the case with me early on. I would practice for hour-upon-hour but show little improvement. It was not until I addressed my technique that I could start making steady improvements. This is a common theme among club players. Now, on the flips side, if a player is learning from a coach or course and starts to use proper technique, that’s different. However, I find that these type of players (the ones who start using proper technique) don’t improve either. But why you ask? The reason is they practice too infrequently. I see this with my adult students all the time. They’ll come out for a lesson with me and learn proper technique, which is great. During our next lesson, which might be a week or two later, they can often remember the proper technique but don’t execute well. When I asked them if they practiced, I often hear a resounding “no”. So even though a player might be correcting their form, and know how to use proper technique, if they don’t practice, no improvement will come. It amazes me to think that a person could take a lesson and then expect significant improvement without any practice. But I see it all the time. My job is to correct their technique and make sure they hit well. But once they leave the lesson, it’s up to them to practice enough so the new technique ingrained in their muscle memory. I find a lack of practice, or infrequent practice, to be a huge reason for stagnant progress in tennis. Sadly, it’s the case with kids too. 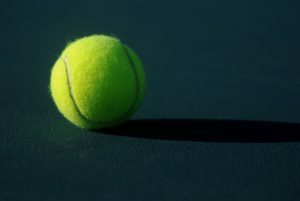 If you truly want to improve in tennis, and you’re practicing a lot with hardly any results to show for it, learn good technique first. Once you know good technique, then you can practice all you want. 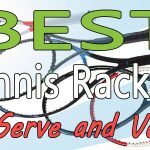 If you already know/have good technique, then you need to practice at least twice a week and preferably 3-4, to see a rapid and noticeable difference in your tennis game. Keep in mind you don’t need to practice that often forever. 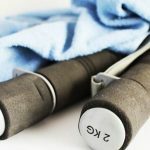 If you can practice 3-4 times per week for a month or two, often that’s enough to take you up a level and ingrain the new technique. Try it out and let me know how it goes. This is another big reason why players don’t or can’t improve. While technique can be learned, and consistent practice implemented, physical ability is pretty much set. We’re all born with a certain amount of physical ability and hand-eye coordination. While a player can work to improve it any time in their life, after our 30s, it becomes an uphill climb that’s often not worth the effort. In all my time playing, I can’t think of a single club player in their 40s or beyond that made an intense, long-term effort to improve their conditioning, speed, and coordination. Even if a person of that age did, there’s only so much that can be done in middle age and beyond. Father time makes sure of that. If an older club player has good physical prowess on the court, it’s because they had it when they were young. Good athleticism usually remains with you in tennis (though slightly diminished the older you get) barring injuries. For those who lack physical prowess in their 40s and beyond, only a certain amount of improvement is to be expected. After all, tennis is an explosive sport and it require explosive movements at the higher levels. Many club players just can’t coordinate their bodies to move explosively. Physical limitations are a fact of life in sports. Even Michael Jordan and Pete Sampras showed tremendous decline in their later years. Besides the explosive movements, good tennis strokes require certain complex movements. Unfortunately, some players physically cannot perform those movements no matter how hard they try. 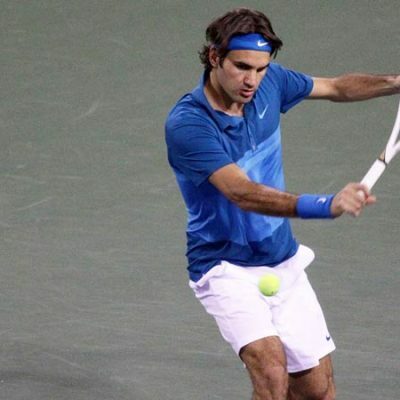 For example, racket speed is essential to hitting with heavy topspin and pace. Some of the older players I work can’t swing half the speed I do. For whatever reason, they just can’t. If a person like that improves their technique, practices diligently, and enhances their timing, they’ll make some nice progress. But they’ll never be able to crush the ball the way certain players can. Other players I work with just don’t run fast. No matter how many times I show them the correct footwork to get to the ball, they do it way too slow to make that quantum jump to the next level up. The serve is another huge challenge physically for people. While the technique is complicated enough, the serve also requires a lot of physical ability to hit hard. Shoulder flexibility and strength are par for the course on strong serves. Most club players I work with just don’t have it in them. They either can’t coordinate their bodies, have way too slow of a swing, or hardly use their legs. Here’s my thinking on this whole subject of physical ability. If you’re able-bodied and under 40, you can certainly improve your physical abilities through weight training, plyometrics, agility drills, sprinting, etc. Once you get to be over 40, your physical prowess begins to decline. Yes, you can still improve it, but the energy required to do so is diminished. Most of the club players in their 50s and beyond have seen better days physically speaking. Sure, training will help, but not that much because it’s probably not going to be intense enough. 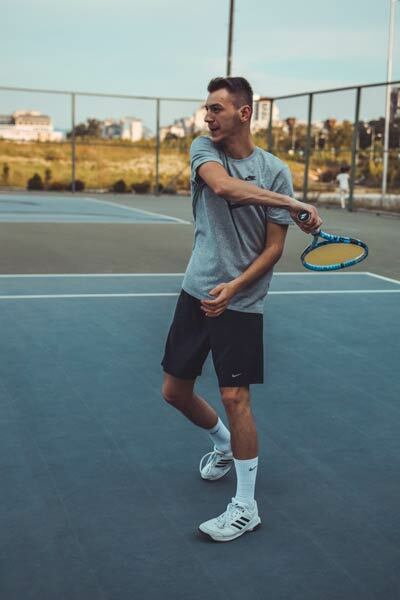 When older, it’s better to focus on technique if you want to see marked improvement in your tennis game. If you had to choose one physical thing to improve after age 50, go for conditioning. You can improve it with low impact cardio sessions. Drills for improving speed and explosiveness are hard on the body and difficult to do after 50. If you’re in your 30s or younger, I recommend you do plyometrics, sprinting, and agility drills to improve your physical prowess. Plyometrics is great for improving fast-twitch muscles, which are needed in tennis. Sprinting is almost essential in my book. 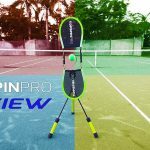 It mimics the stop and start explosiveness needed in tennis. It will also aid you in running faster on court and recruit your fast twitch muscle fibers. Agility drills are great because they’ll help you move quicker and coordinate your body better. If you can throw in some hand-eye coordination drills, all the better. Look, once you’re an adult, your physical ability won’t change much without intense effort. If you’re willing to put in that effort, great. If not, then you need to live with what you have. Realize that your level of physical ability will determine how much your tennis game can improve. 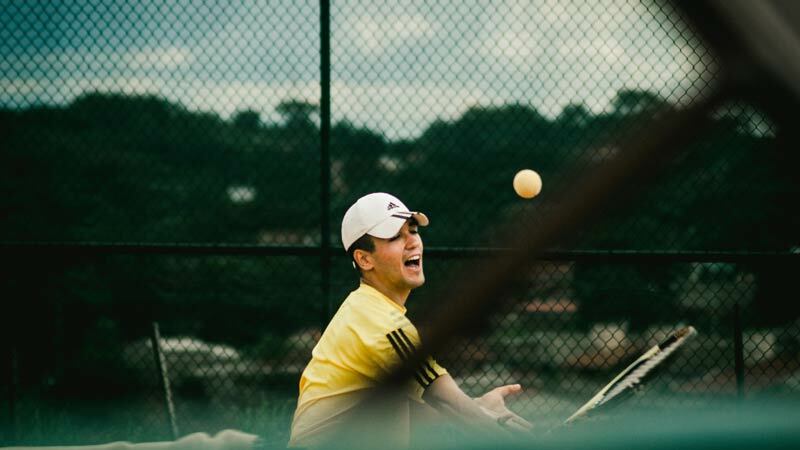 While you may make strides in terms of technique, if you cannot explode to reach a far-away ball or swing fast enough to hit a crushing forehand, you may never go far past your current level. That’s okay though. We all must play within ourselves and accept our abilities for what they are. Just do the best with what you have. 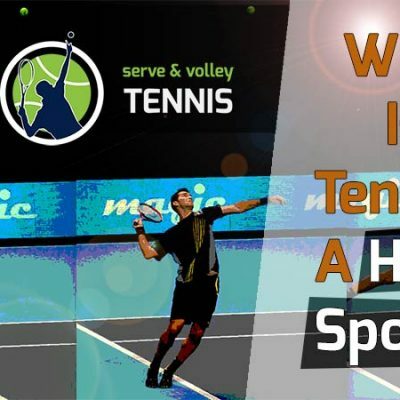 While it’s nice to think we can all greatly improve our tennis games if we work hard at it, we should realize that it may not be in the cards for some. This article is a sober reminder of what it takes to improve in tennis. I didn’t want to sugarcoat it for you. At the same time, I want to offer you hope, which is why I added tips for improvement. Look, you can improve at any age. Don’t let me discourage you. I’m stating what I see from my perspective as a long-time club player and coach. Your perspective and reality may be different. 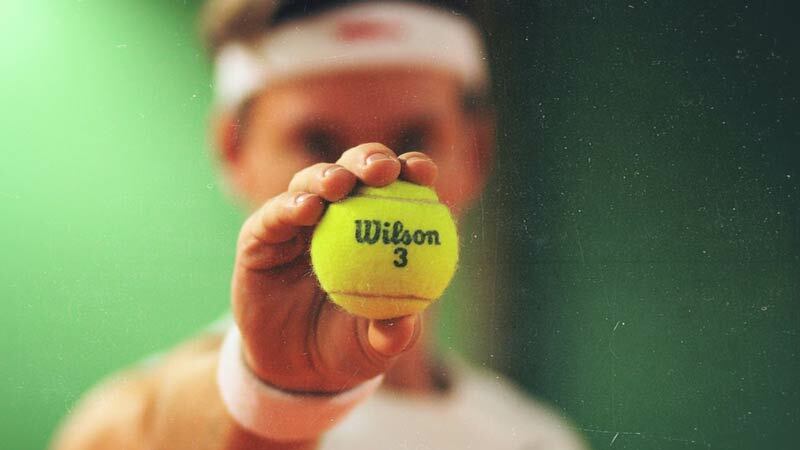 The most important tool you have for tennis is your mind. By the way, for players where the physical is an issue, you can vastly improve your tennis by working on your volley game. The volley is mostly a touch shot and can be hit without much movement. It also doesn’t require complicated mechanics to hit. 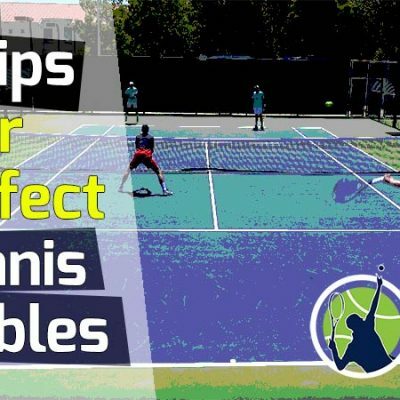 If you’re a frequent doubles player, you especially need to improve your net game. 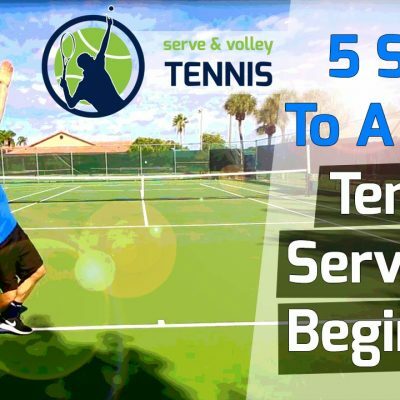 Practicing your volleys on a ball machine is your best bet. Check out my youtube videos on how to volley. Start with the block volley, move up to the punch volley, and graduate to the drive volley and drop volley. A solid net game can compensate for a lot of other deficiencies in tennis. I trust you got some value out of this article. If you have any questions for me on it, leave them below. Thanks for reading! 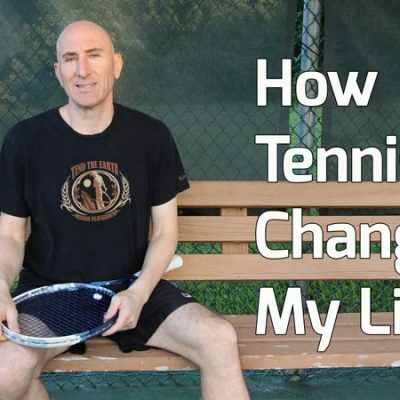 How Do I Find A Great Tennis Coach? 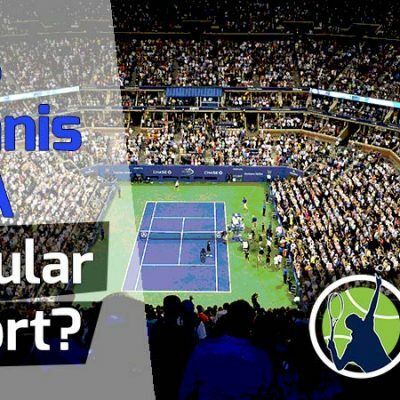 Is Tennis A Popular Sport?